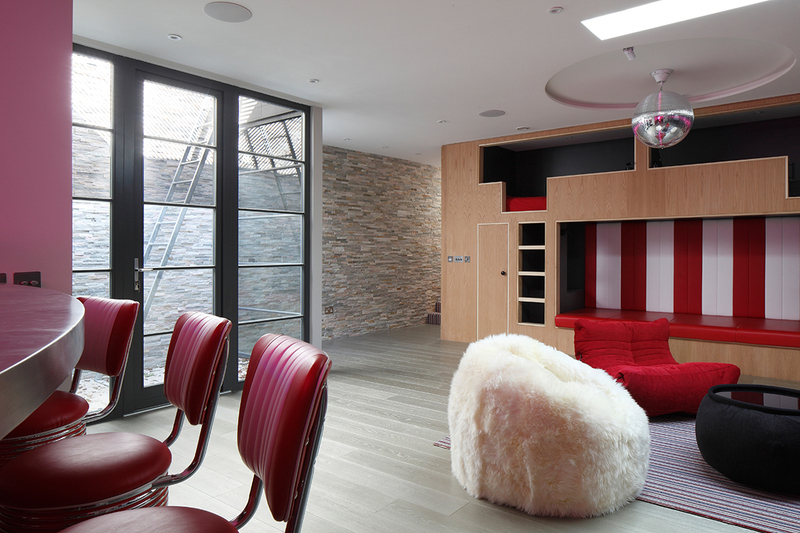 Great party space underneath a garden in this luxury basement project which features bespoke integrated bunk beds and club-style banquette. An under garden basement. 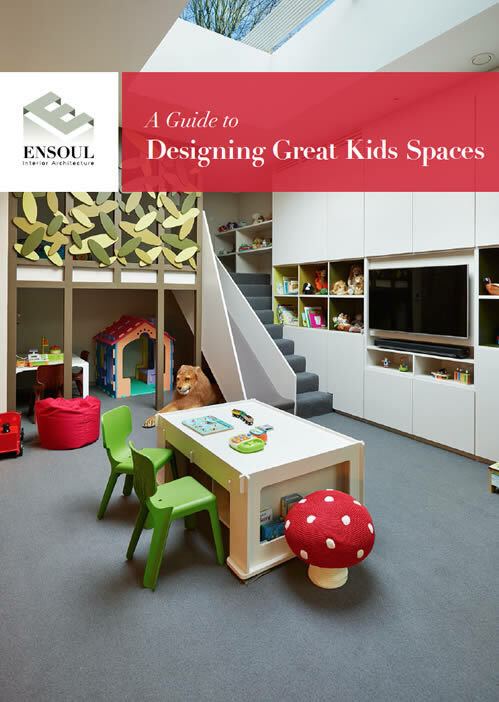 This photo shows the main party space - integrated bunk beds and club-style banquette seating. Designed for kids and adults to enjoy! Close up section of bespoke bunk beds designed by Ensoul. 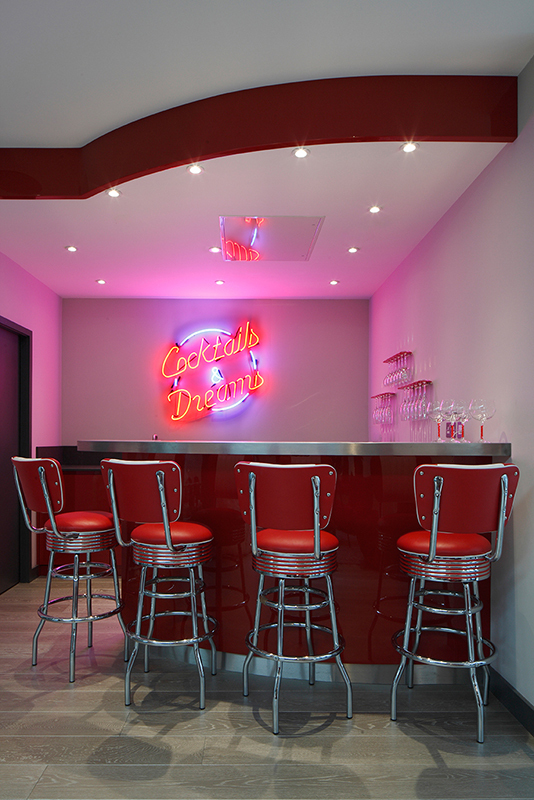 Retro style home bar in a luxurious basement underneath a garden. 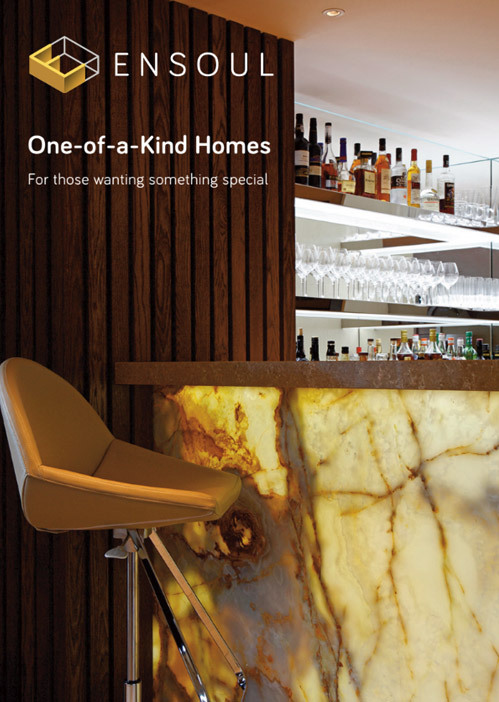 Home bar and kitchenette in a luxurious basement underneath a garden. 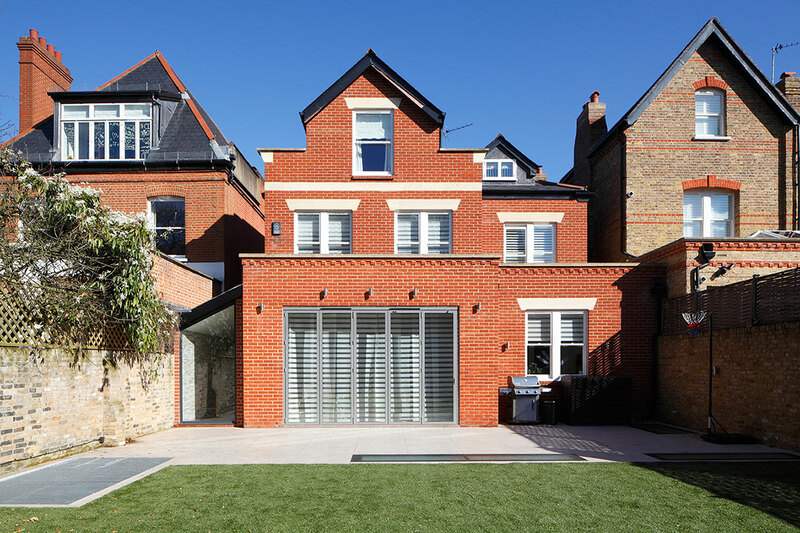 Under garden basement featuring large games room and a gym beyond the Crittal style glazing. Guest bedroom with access to a large games room and lightwell for fresh air and lots of light. Under garden basement bedroom with ensuite bathroom. 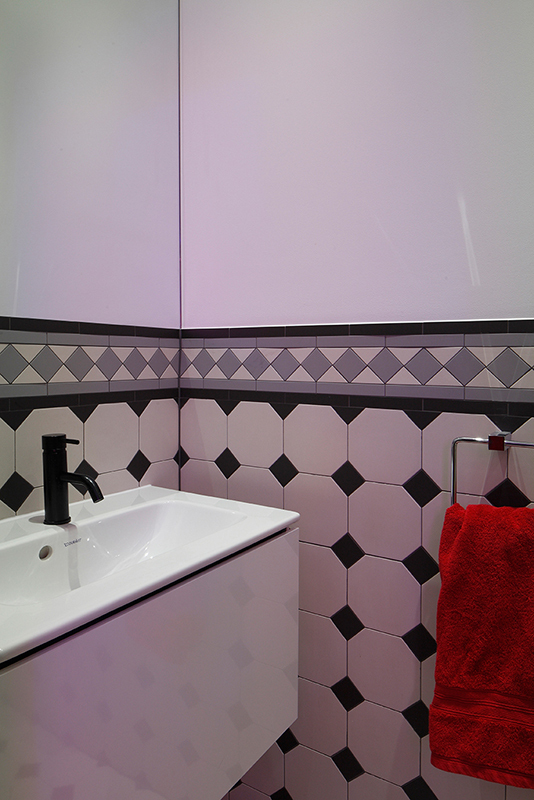 Victorian style tiling in a WC/cloakroom of a basement. 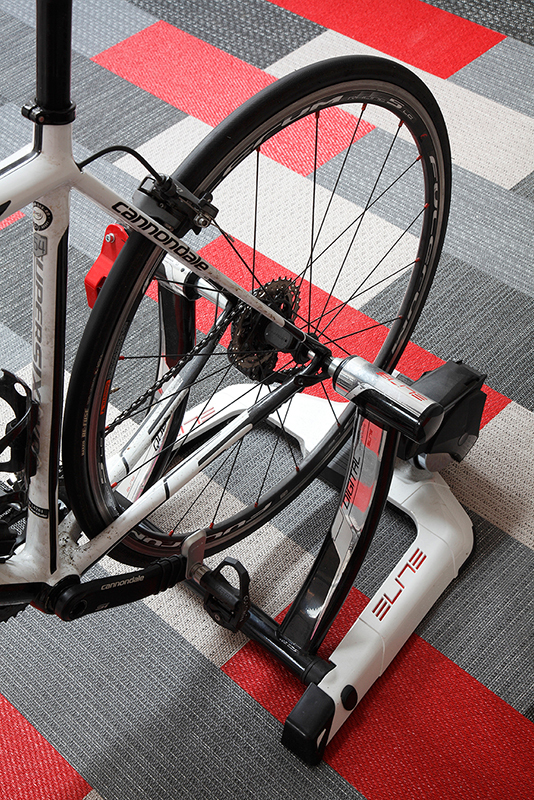 Close up detail of this striking vinyl flooring in a home gym. 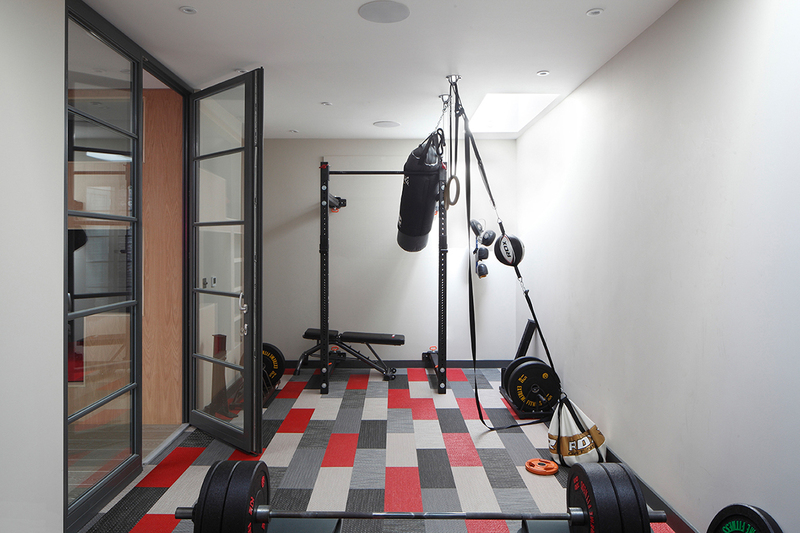 Gym with striking vinyl flooring and Crittal style glazing into games room. Located within an under garden basement. Basement staircase with feature glazing to garden. 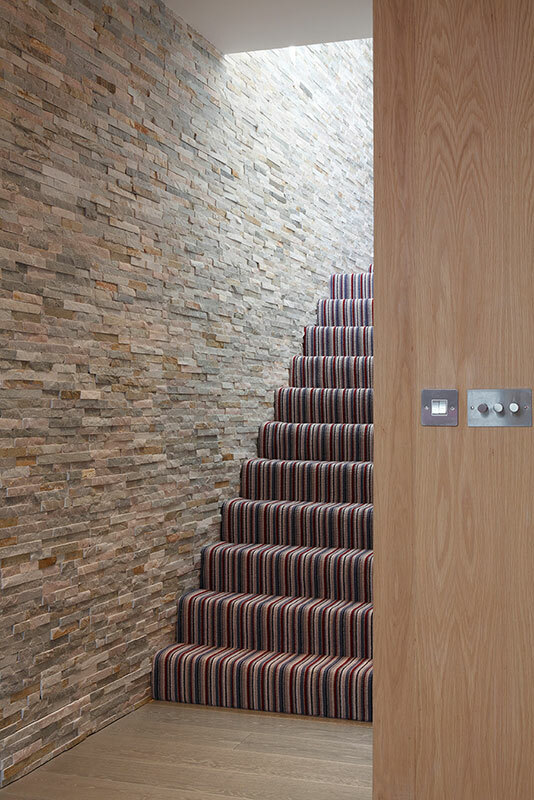 Basement staircase with splitface wall cladding and a striped carpet up the stairs. 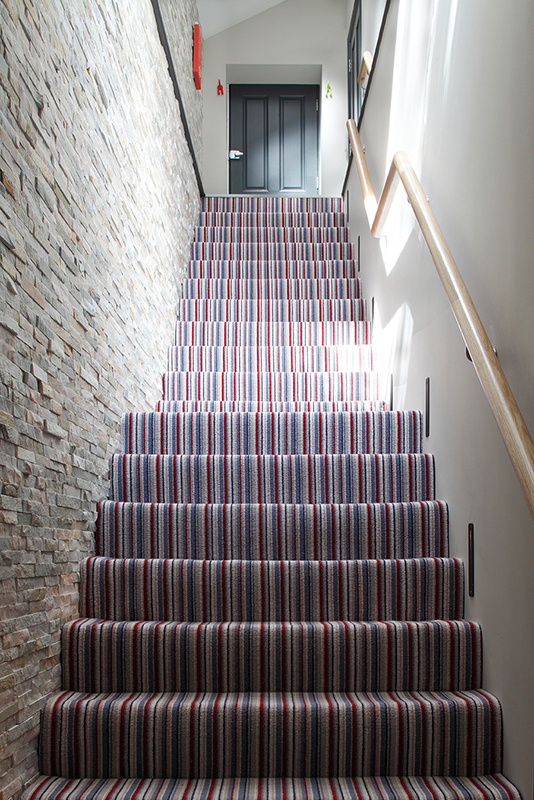 Striking basement staircase with striped carpet and stone wall cladding. 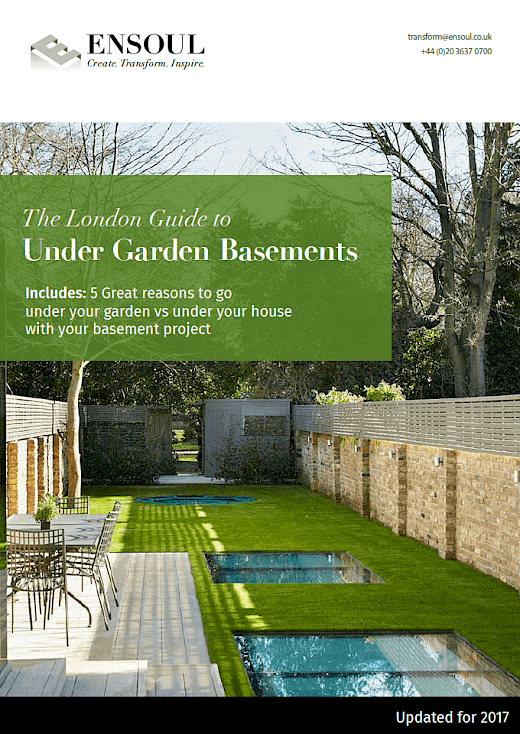 Demonstrating the low impact of an under garden basement. 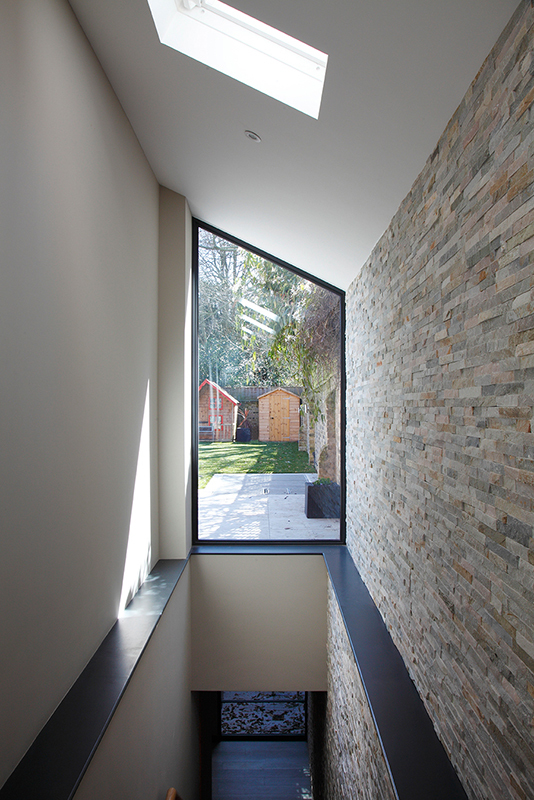 Rooflights and lightwell are flush with the tiled terrace. 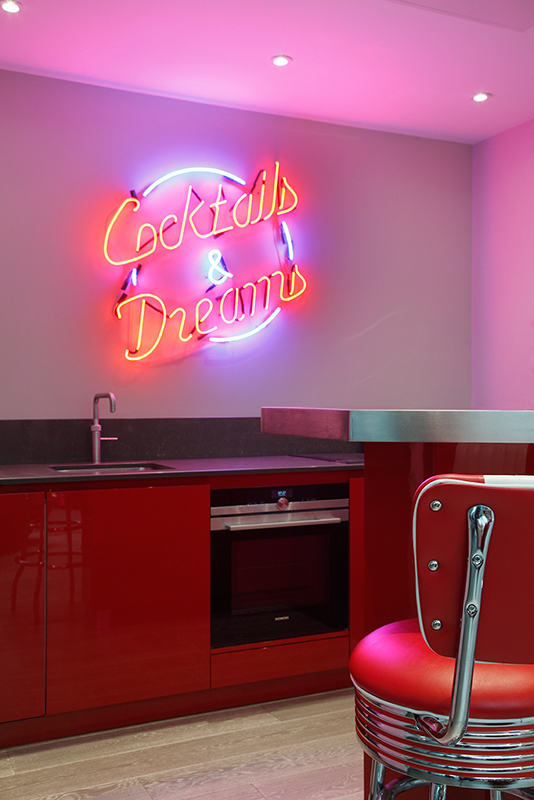 A large games room for both adults and children to play and party. And a lightwell which brings lots of light, fresh air and a fire escape to the space.